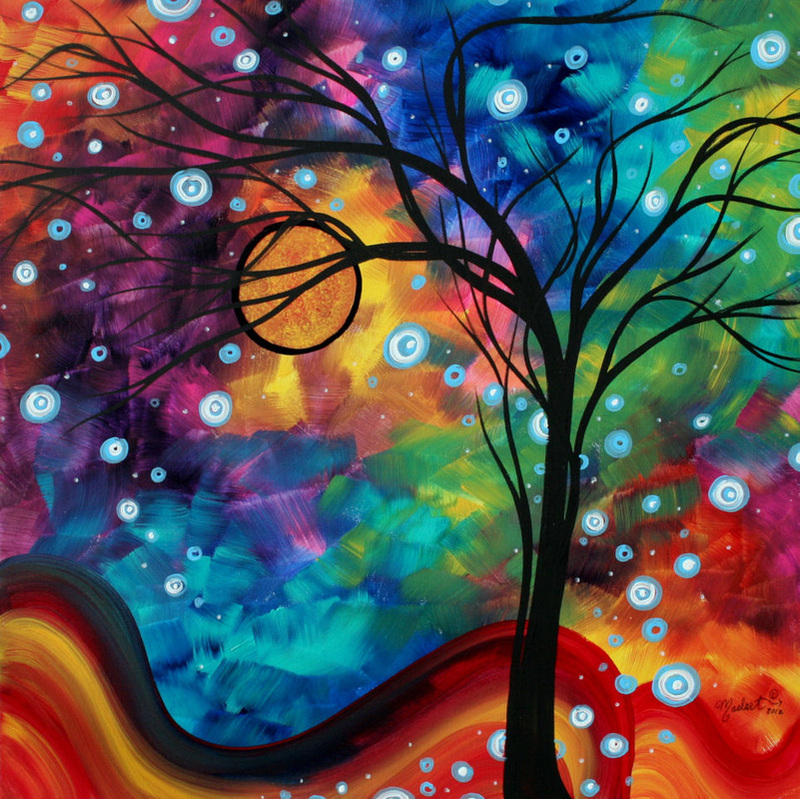 My inspiration for this colorful and whimsical series comes from living life to it’s fullest and repeatedly seeing how the good and bad in life always come full circle. 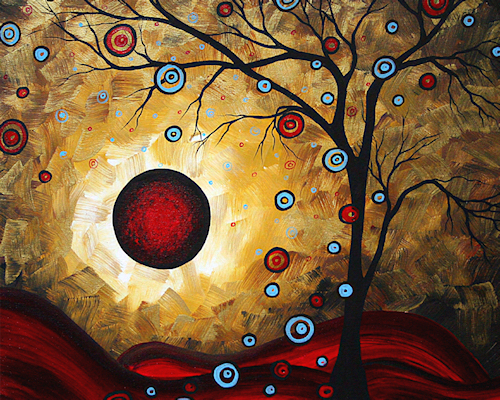 Gustav Klimt is another inspiring force behind my use of circles and other shapes in my paintings. 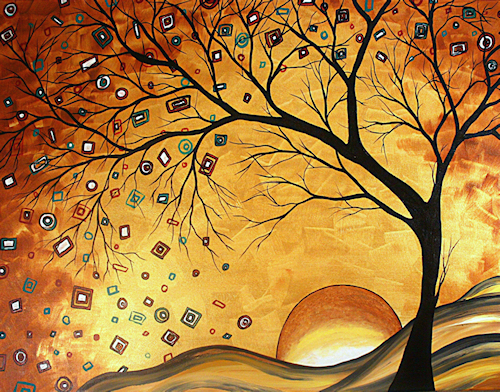 His ability to take unrelated shapes and interpose them to create a painting of beauty and mastery is enthralling and inspirational. 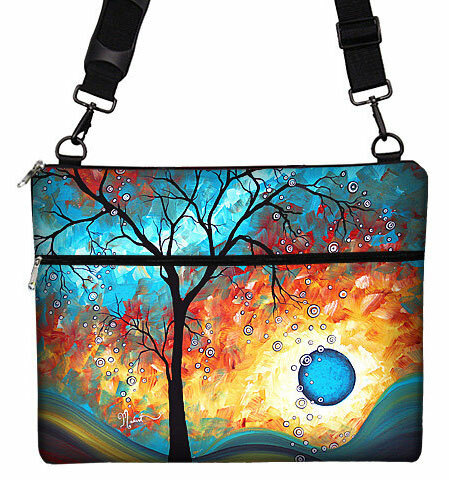 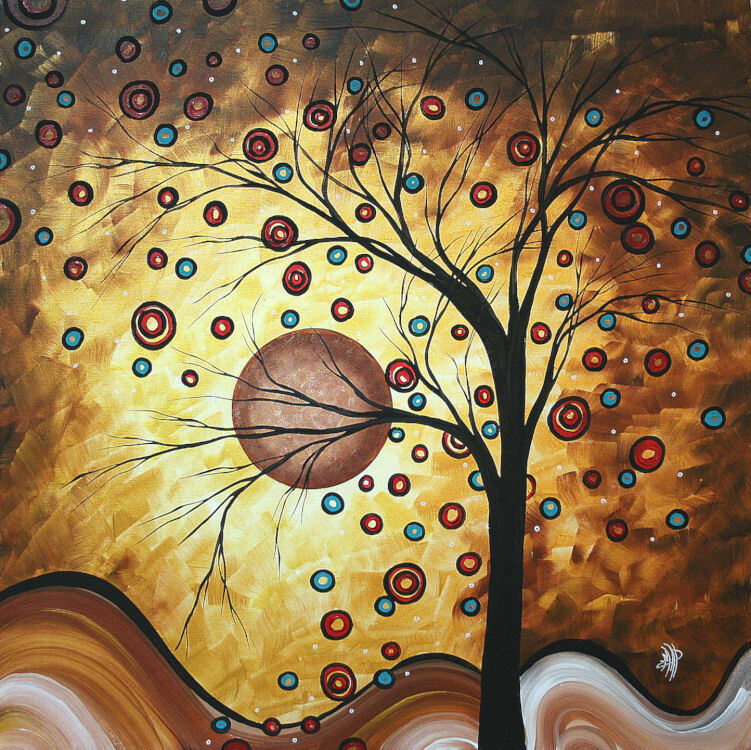 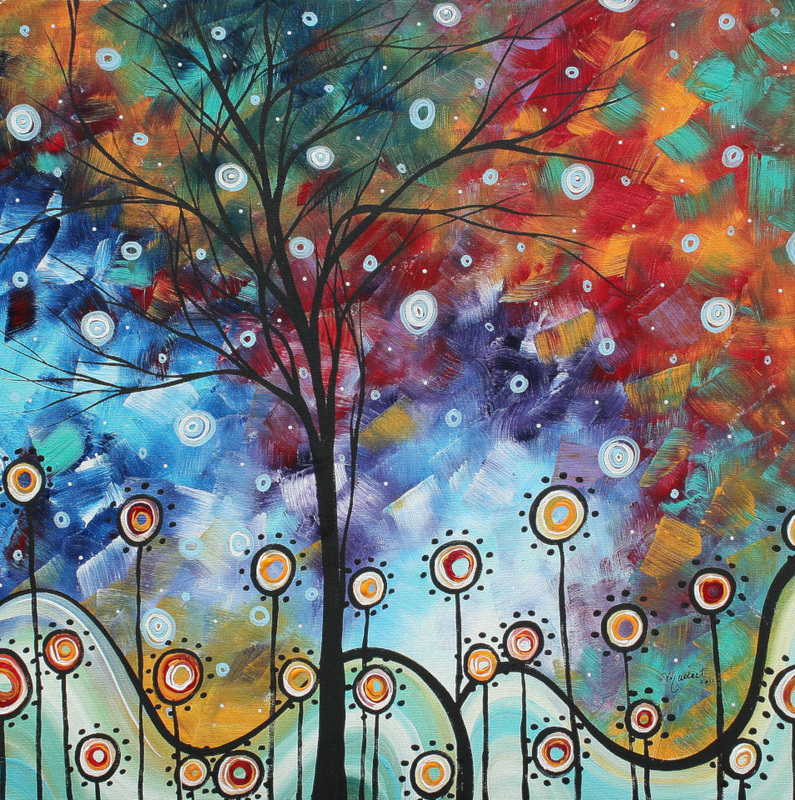 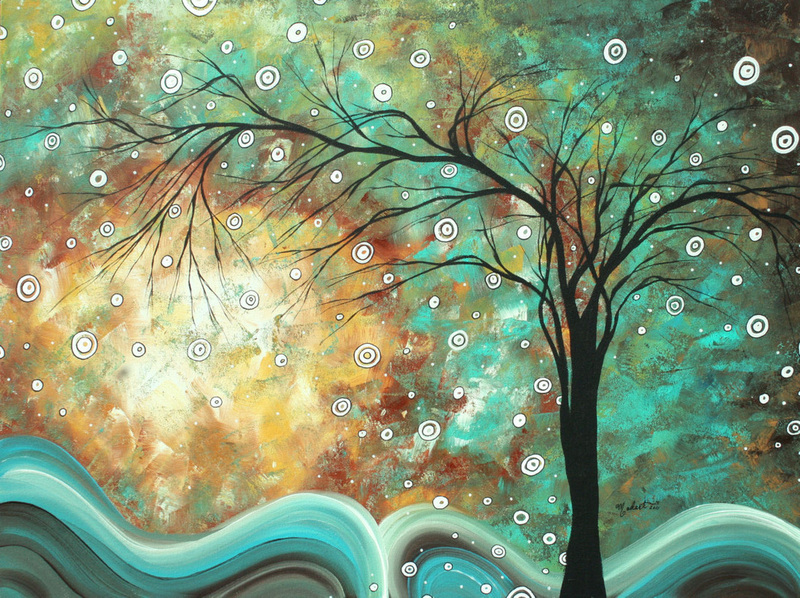 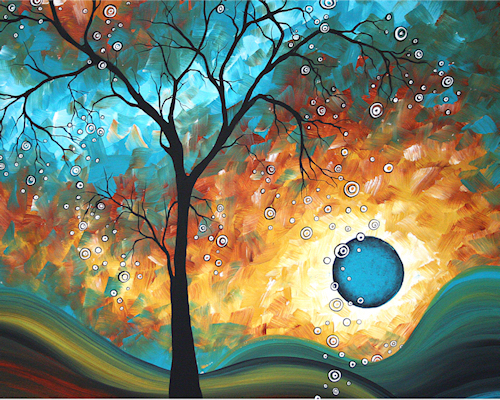 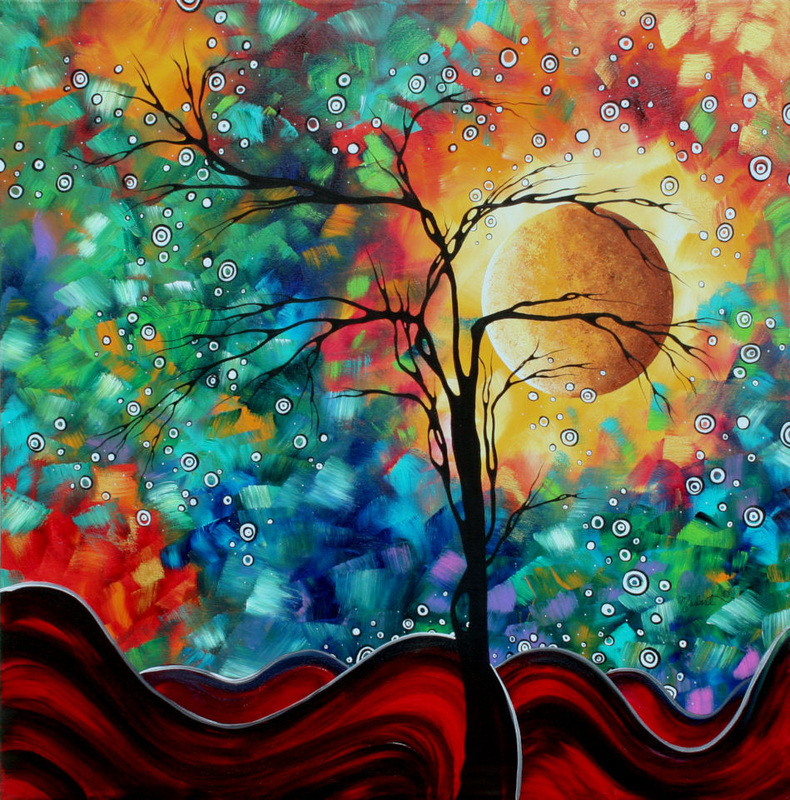 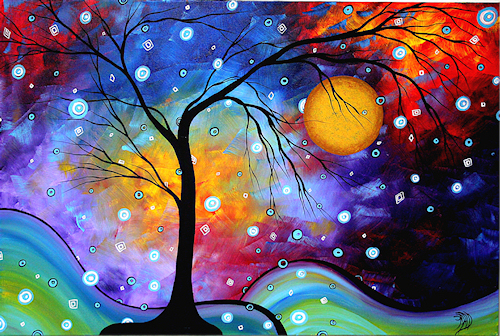 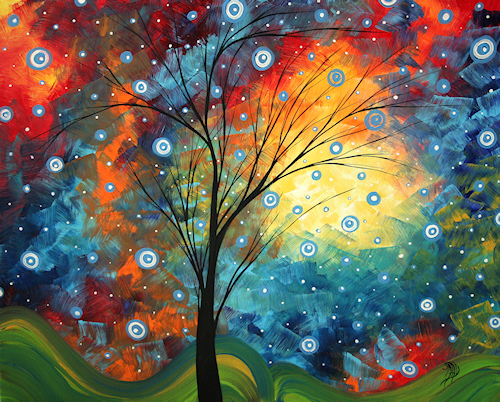 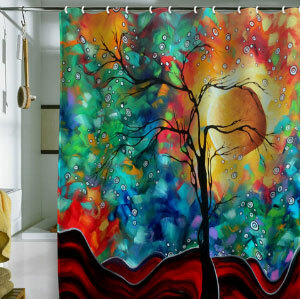 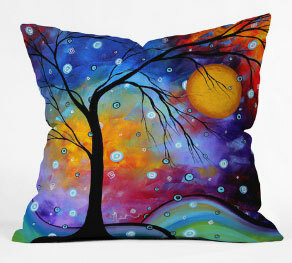 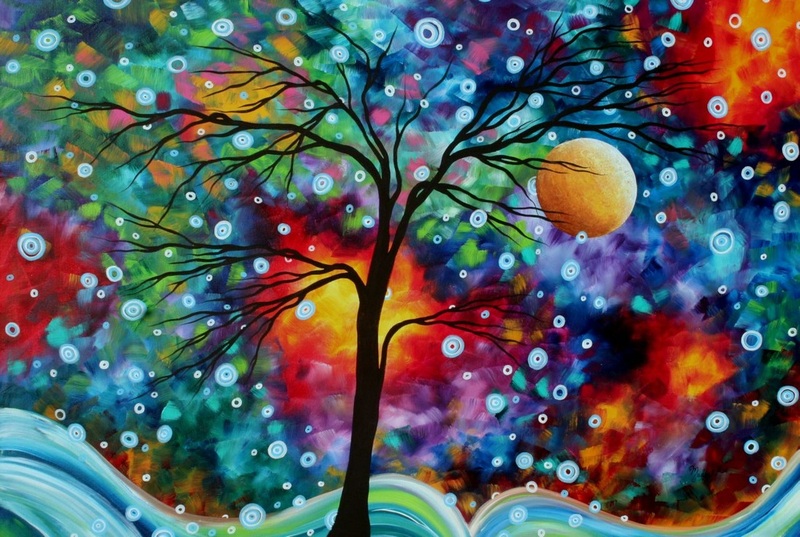 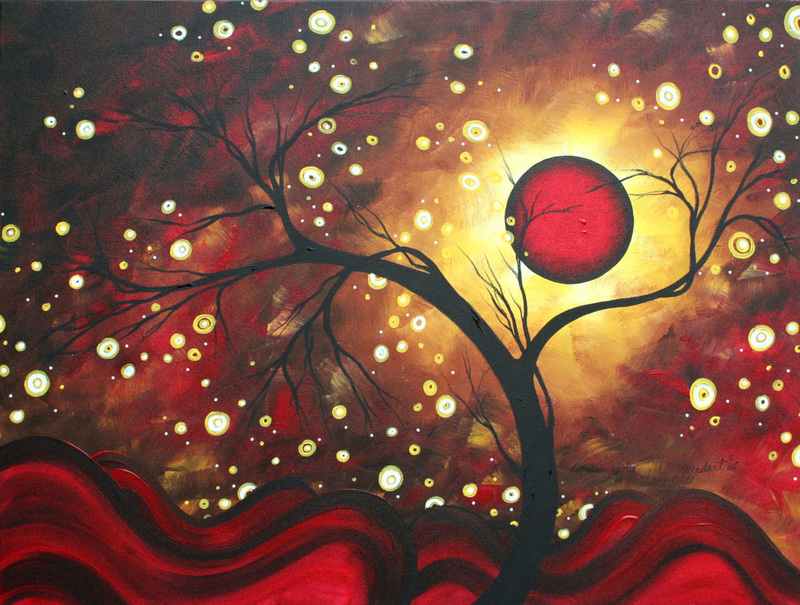 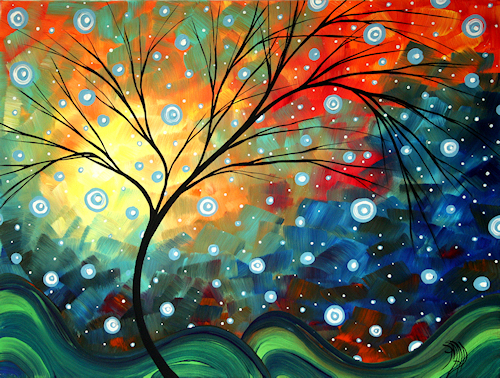 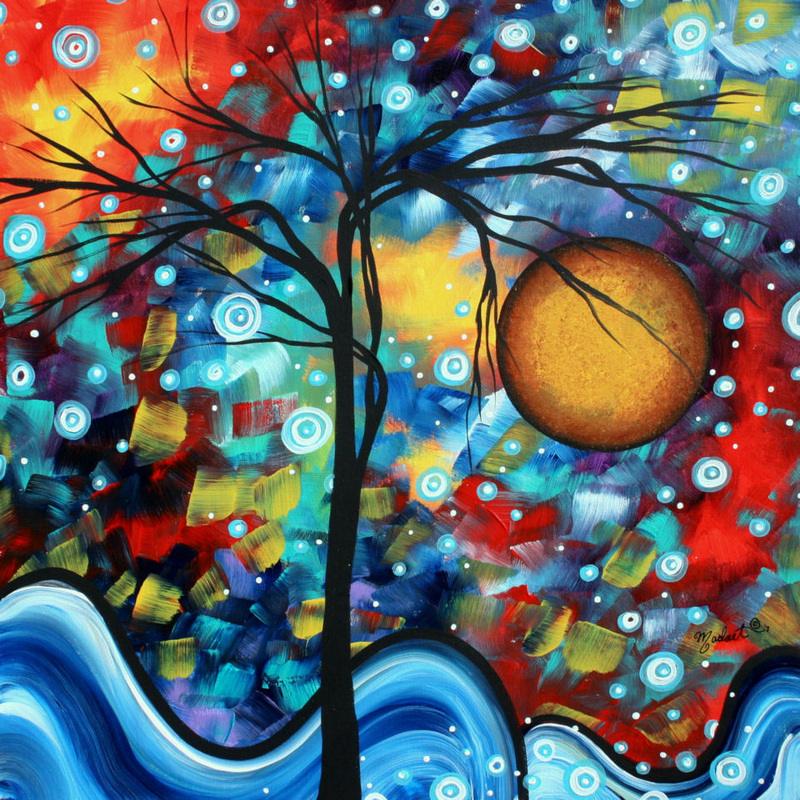 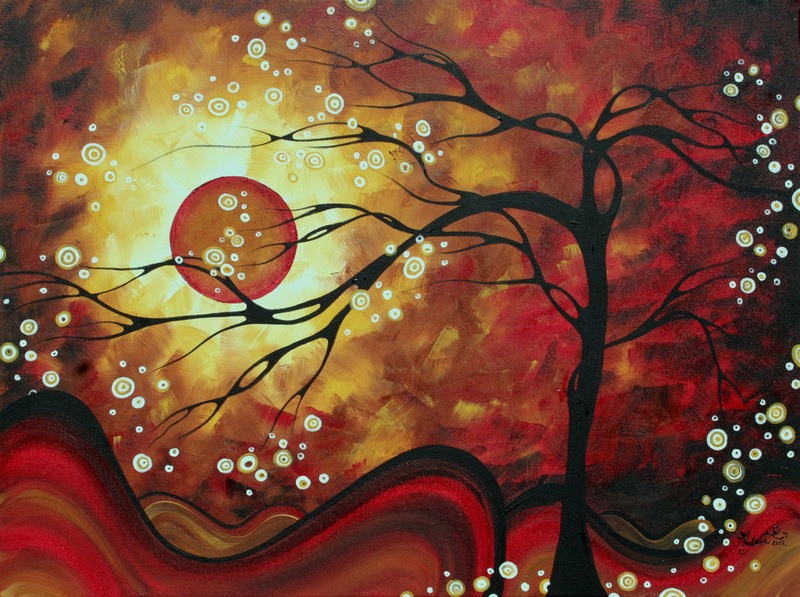 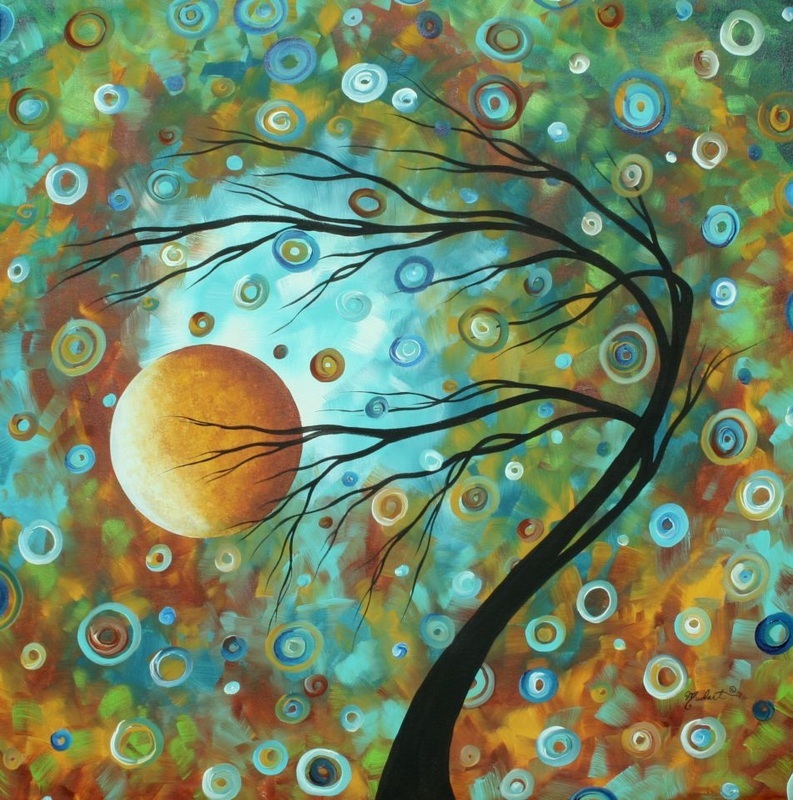 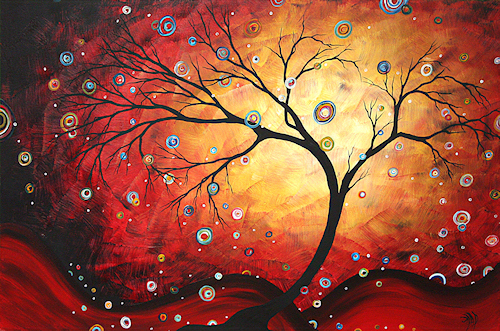 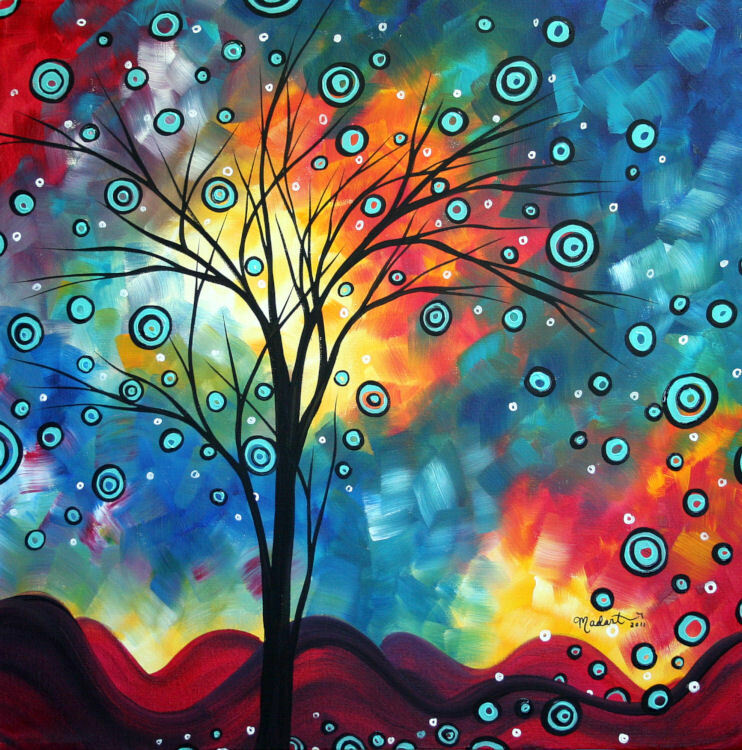 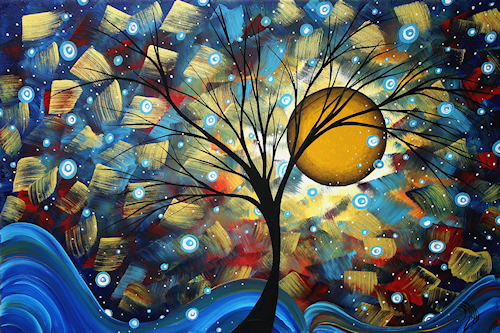 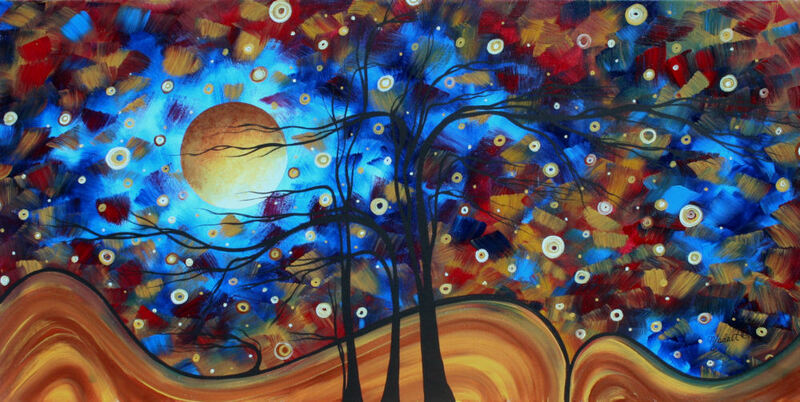 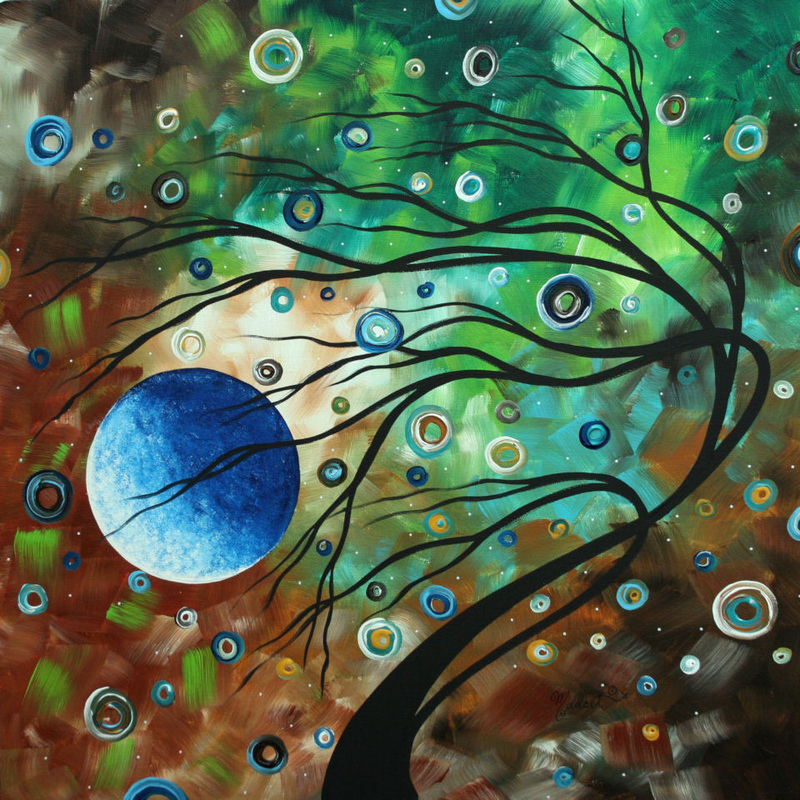 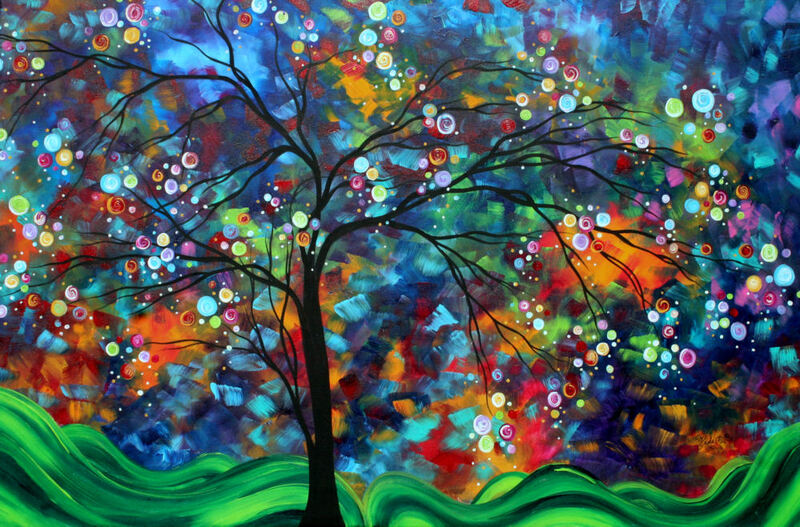 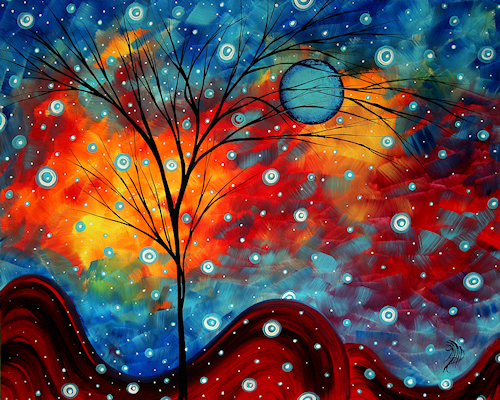 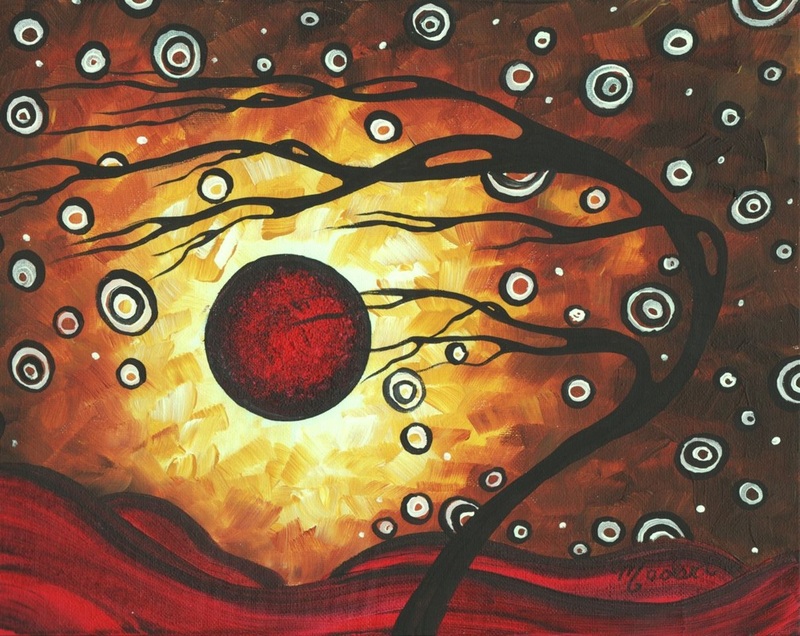 This is a collection of bold, colorful, abstract landscape Paintings/Art created by MADART. 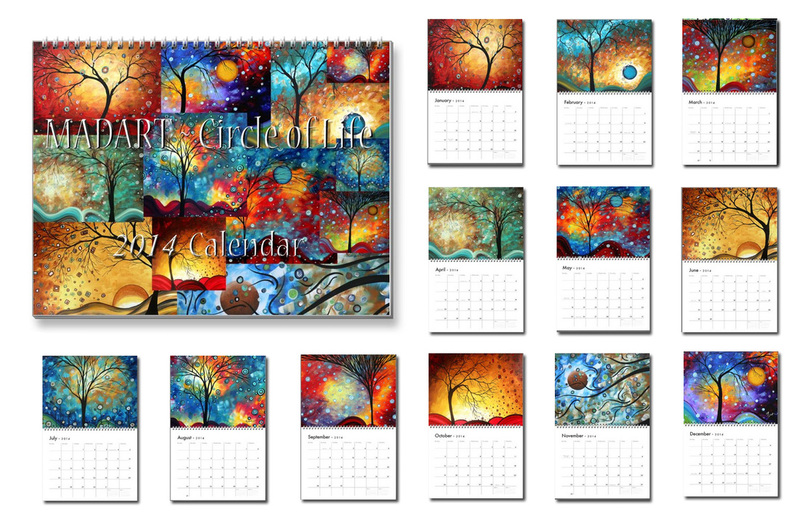 These images can be used on many different products for the nursery, young children and adults alike.